Many parents and teachers still want their kids and students to learn the basics of writing cursive. It seems a shame that some kids in many school districts across the country haven’t even learned how to write their own signature. 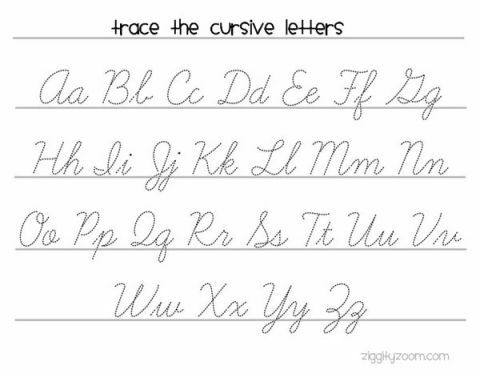 This cursive tracing worksheet will help children learn the basic forms of the alphabet in written hand. Our kids each learned to write cursive and we think it is something that should not be lost on the youngest generations. Print and trace the cursive alphabet letters. Both capital letters and lower case letters are included on this printable worksheet. Directions: Click image above or click here to print this worksheet. Print Preview and select the worksheet page to print (you do not need to print the url page or directions page).